Can I see how my Haiku looks in the browser? To see how your Haiku renders in a browser, you only need to click on the shareable link you get when you publish your project, or view it on your Showcase profile. The "share.haiku.ai" link itself does actual rendering in the browser. What you see is the actual code-based Haiku, not a video of it. 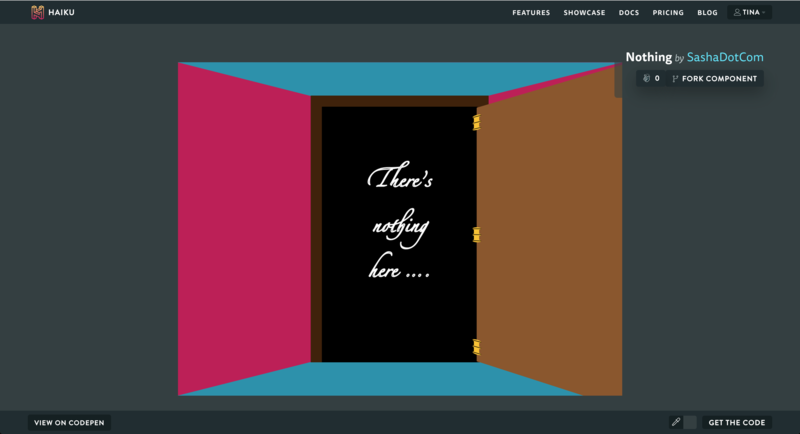 You can also click the "View on CodePen" link at the bottom-left of the screen to see it stand-alone.